Comedian Eddie Izzard is running 27 marathons in 27 consecutive days to raise money for Sport Relief. But how does such an arduous journey affect the human body, asks the BBC’s, Robert Spencer? Izzard is running in South Africa, and each day of the marathon symbolises the 27 years former president Nelson Mandela spent in prison during the apartheid era. Taking on consecutive marathons like this is classed as “ultra-running”, but in stark contrast to the British weather, the comedian will face temperatures of up to 30C. Even dedicated ultra-runners find difficulties in this heat. Izzard has faced a similar challenge before, albeit not in these conditions. 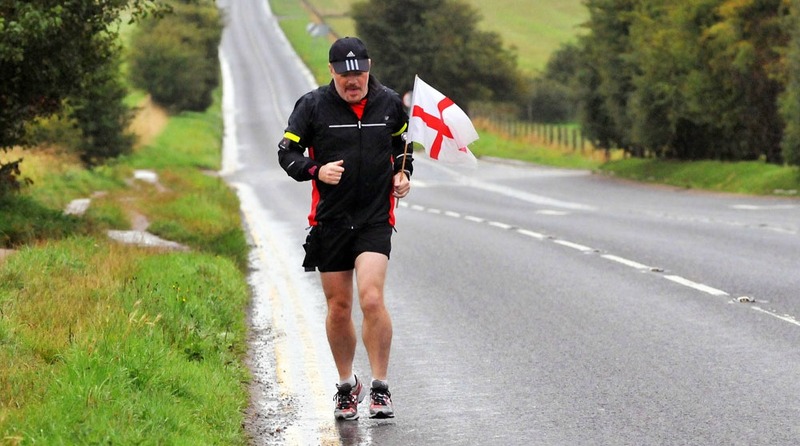 In 2009 he completed 43 marathons in just 51 days, raising over £1m. With this level of exertion, there can be dangerous biological effects, according to Dr Francois-Xavier Li from Birmingham University. After a few days of running, athletes can suffer “delayed onset muscle soreness” (DOMS). Slower running can help reduce this. Izzard will also burn a lot of calories that will be difficult to replenish. With such large amounts of exercise, parts of the body shut down and appetite is lost at the time the runner most needs to be eating. Fatigue from running long distances with little rest can make the immune system weak, which in turn makes people more susceptible to catch colds or other illnesses. Eddie is 54 years old, but studies have suggested that ultra-runners can fare well into their 50s, the difference is recovery. As you grow older you take longer to recover from injuries or long runs than a younger person.